THE RINGER: The best television episode of the 1990s starred a short, blond man and his band. On November 18, 1993, at Sony Music Studios in New York City, Nirvana took on MTV Unplugged. That night, the biggest group of the decade staged one of the most hypnotically intimate rock concerts ever captured on film. 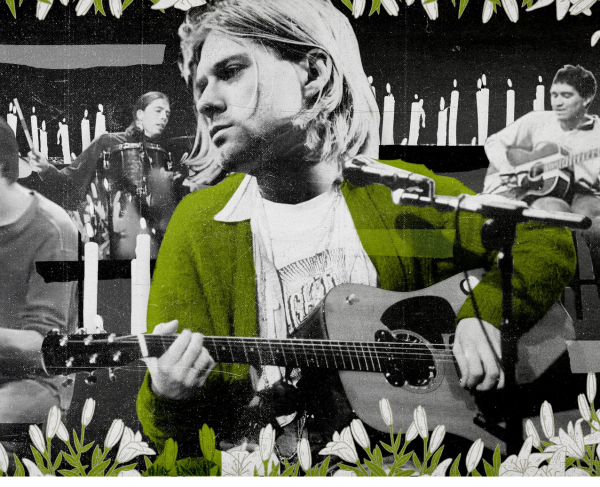 Wearing a fuzzy cardigan, ratty button-down, Frightwig T-shirt, jeans, and Converse sneakers, Kurt Cobain—with help from drummer Dave Grohl, bassist Krist Novoselic, guitarist Pat Smear, and cellist Lori Goldston—orchestrated a performance that was heartfelt, funny, uncomfortable, and mesmerizing. Nirvana’s appearance on the acoustic series proved something that close observers already knew: The loudest band on earth had a stunning amount of depth. Cobain subtly subverted the format, which usually featured acts playing stripped-down versions of their hits, by filling the set list with cover songs. He also invited two of his musical heroes, Cris and Curt Kirkwood of the little-known Meat Puppets. The lead singer even helped design the set, asking for it to be decorated with stargazer lilies and black candles. This entry was posted on Tuesday, November 27th, 2018	at 2:32 am	and is filed under News	. Responses are currently closed, but you can trackback from your own site.